Anyone who has had anything stolen from them knows what an awful experience that can be. That terrible feeling is seriously exacerbated when you realize your garage door remote is part of what's missing. When this happens, you can't get home fast enough, all the while worrying if someone has used the remote to gain access to your home. Many name brand garage door opener models use rolling code technology which basically means the code changes every time you open your door using the remote. What you need to do in the event of a lost or stolen remote is reset your opener. Doing this will effectively erase its memory and render all the remotes useless, as they will need to be recalibrated with the opener in order to work. The instructions on how to do both of these things are in your user's manual, but our team can help you if you're unsure. It's always better to avoid losing your remote in the first place. For this reason you should never leave your garage door remote in the car unattended. If you park your car outside of your garage for whatever reason, you should always take your remote with you. If possible, your best option is to have a small remote on a keychain with your car keys. This way, you will be a little more likely to keep the remote with you at all times. You should also avoid leaving anything in your car that contains your address. This includes letters, bills, etc. Of course, if you're using GPS navigation, your address will probably appear there. Home security is an issue that needs to be taken seriously. 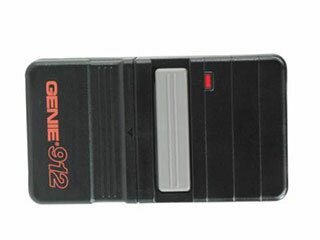 Your garage door remote is just like every other key to your home so you need to keep it safe at all times. You may also want to consider keeping the door between your garage and the rest of the house locked at all times for a little bit of added security. Give our experts at Garage Door Repair Oceanside a call for more useful information. We are a team of experienced garage door repair experts that focus on providing top quality services for affordable prices. Whether we’re installing a new opener or replacing broken torsion springs, we make customer satisfaction and safety our top priorities. Take a look at the rest of our website to find out about the different services we offer. Our experts are at your service for any question or concern. Leave your contact information here below and we will get back to you shortly! When you hire Garage Door Repair Oceanside, you get the best service, the best products and the best results on every call! Thank you for choosing our company! Feel free to browse our website for more information in the meantime. Our team at Garage Door Repair Oceanside is at your service any time!